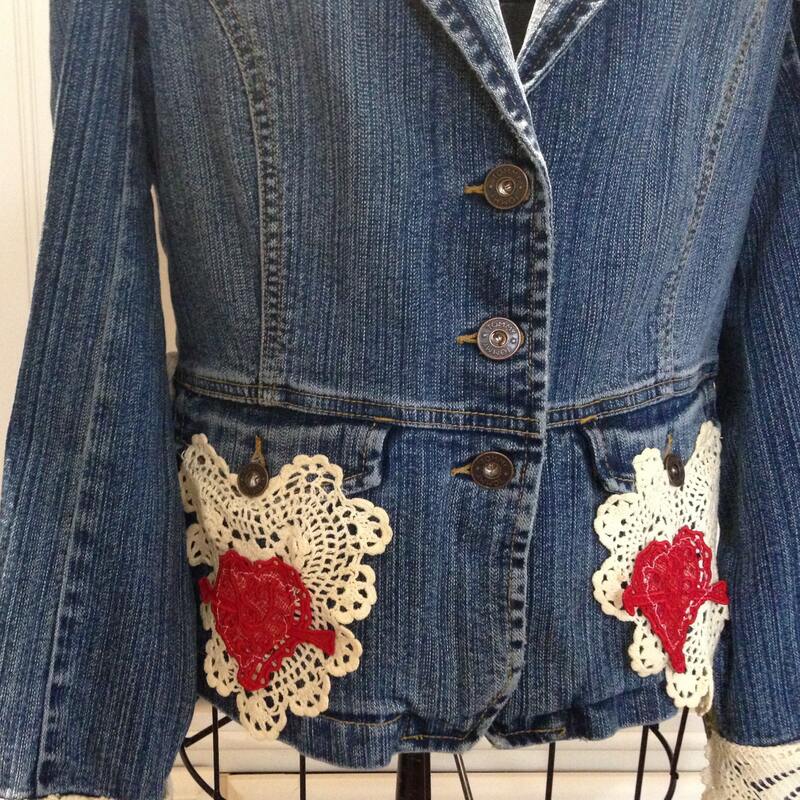 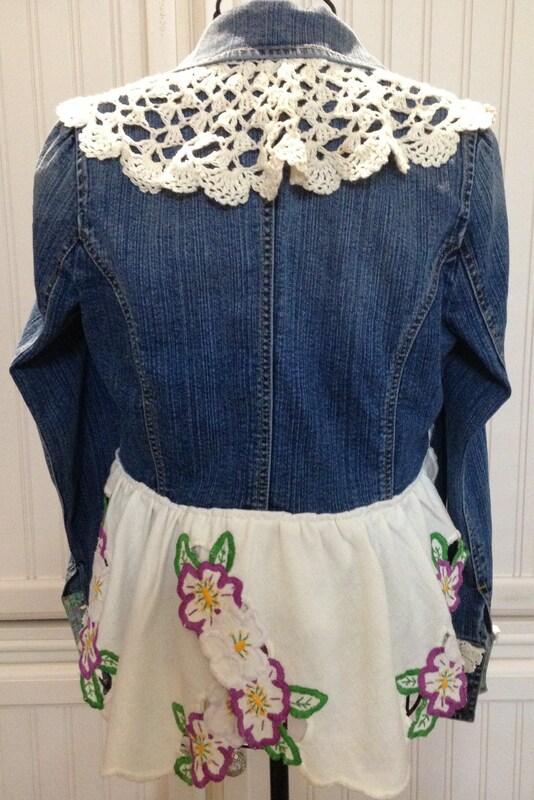 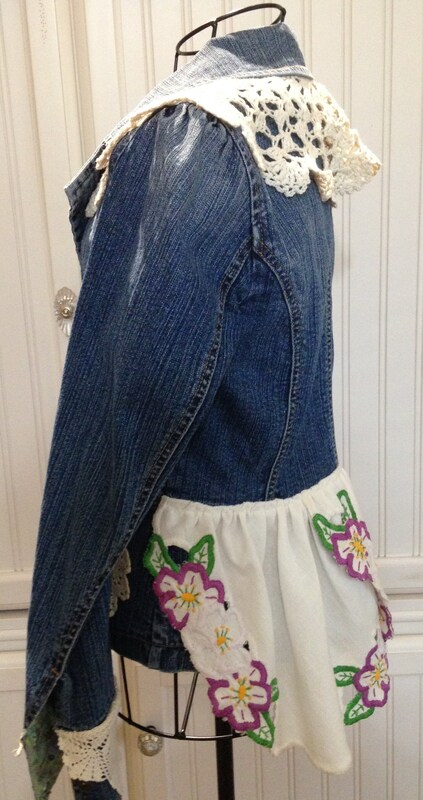 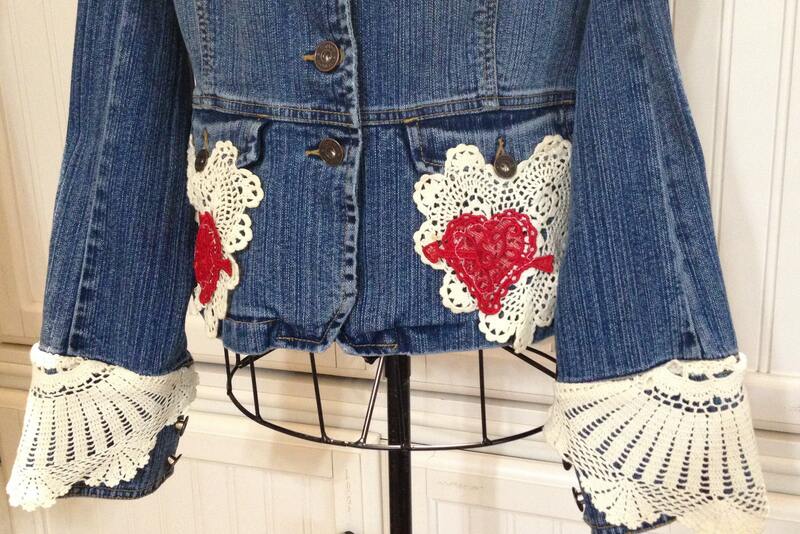 This softy elegant denim jacket has been upcycled by adding a vintage cream crochet collar and crocheted lace cuffs. 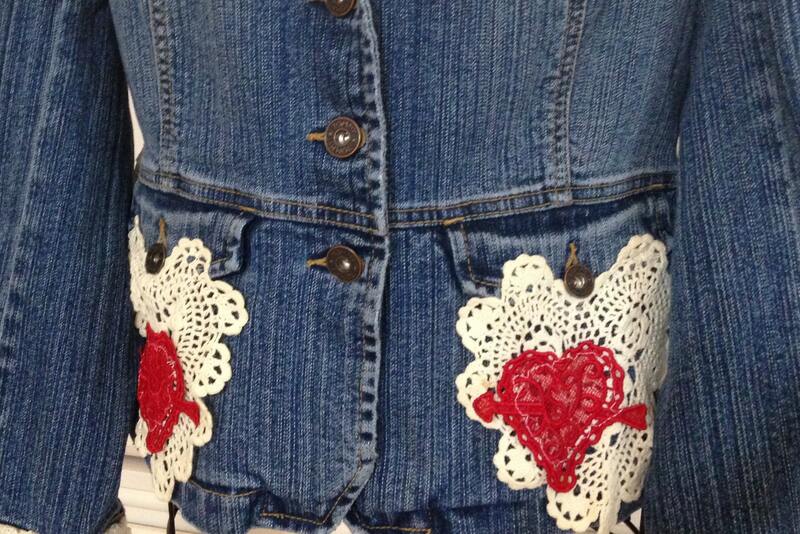 The pockets are trimmed with vintage crochet hearts and freestanding red lace hearts. 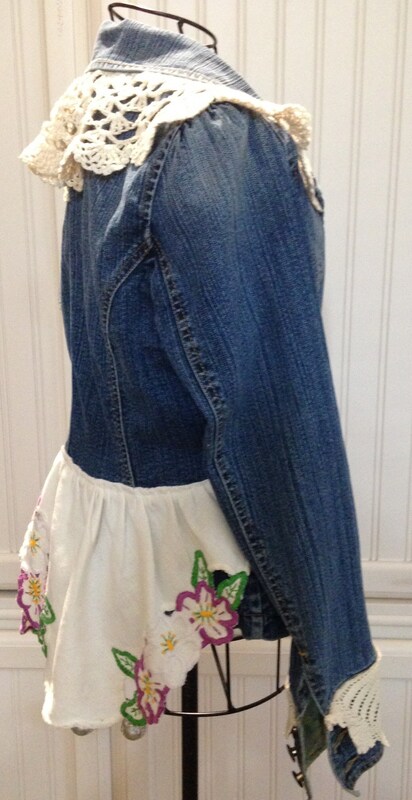 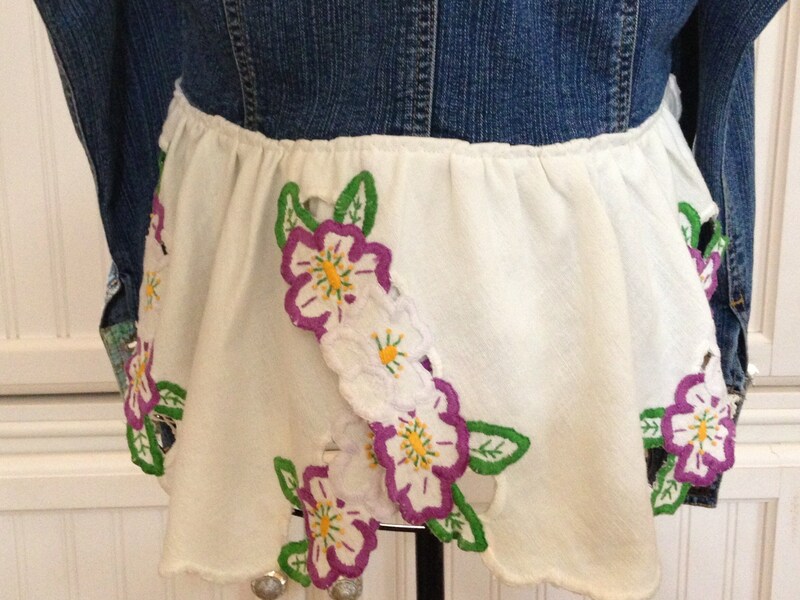 The back is trimmed with an upcycled vintage linen piece that is hand embroidered with purple and white pansy. 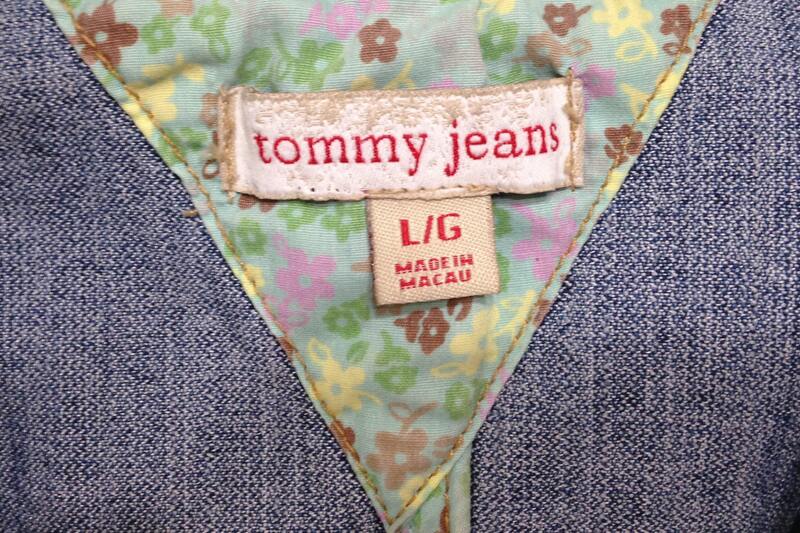 The jacket is a Tommy Jeans brand Womens size Large as pictured in the tag. 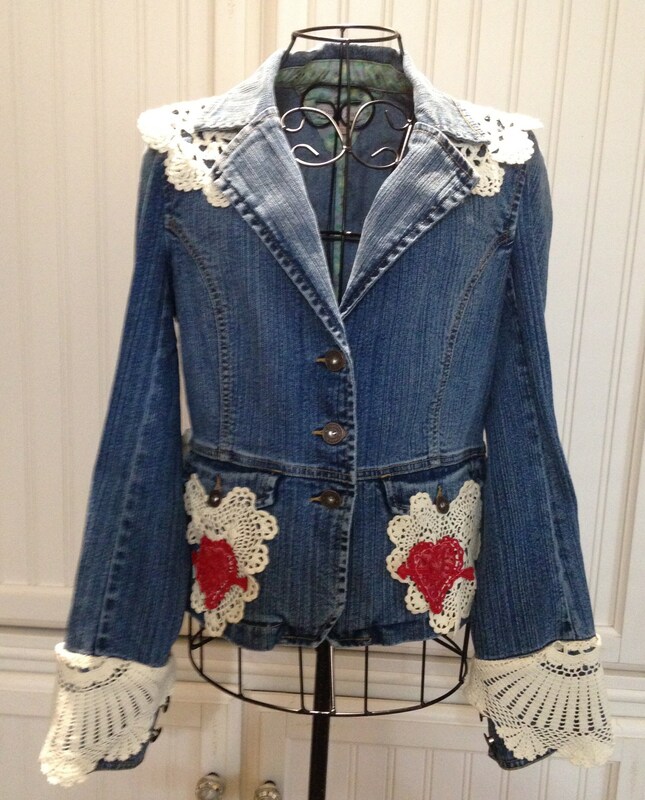 It is a comfortable fitting jacket. 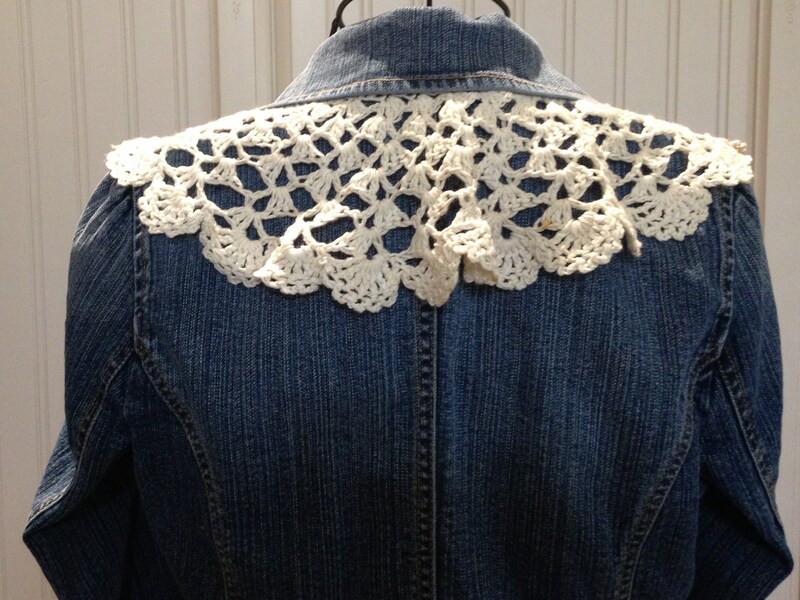 The jacket and all added trimmings are cotton, but I recommend washing on cold in a gentle cycle.